You’ve been working hard through medical school and residency. 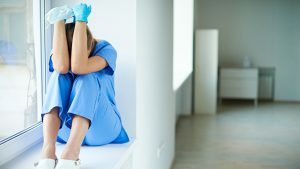 The culmination of your lifelong dream and years of hard work is fast approaching – with yet another challenge: finding your first job as a practicing physician and laying the foundation for a successful career. If your first job will start next summer, then the clock is already ticking on your job search. We have compiled a list of the critical things you should be doing in the coming months to make sure you aren’t forced to “settle” when it comes to your first job. Start with Research. The following steps should be accomplished before the Fall of 2017, with much of it being able to be accomplished with over the course of a few focused weekends. Create a Game Plan –With your family or significant other, decide what the personal and professional “must haves” are in your first position. Are there locations that will be ruled out right off the bat? Are you looking to start in a large organization, or would you prefer a smaller practice? What are your financial needs? How much flexibility do you have in any of the above decisions? Do you have “nice to haves” that are not deal-breakers? Document your thoughts and prioritize what is important to you and your loved ones. Clear criteria and a rational decision-making process will help you identify the right opportunity. Talk to Colleagues and Mentors – The best way to gather information about finding your first job is by speaking with people who have been through it. The more information you have, the better you will be able to discern what makes sense in your situation. Keep an Open Mind about Location – The most obvious place may not end up being the perfect place for you, your family or your practice. Stay true to the criteria in your game plan, but think outside the box. The location that may not seem to be the most apparent choice, may actually check most of those boxes. Consider Cost of Living – Do you have a firm idea of what you want to earn? Be sure that you are also putting the cost of living into that equation. Big numbers can grab your attention, but how far will it stretch when housing, taxes and other budget busters are factored in? 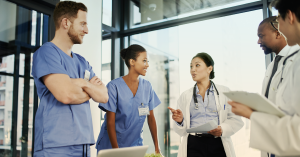 Talk to Recruiters – Professional recruiters, such as Jackson Physician Search can be invaluable in sharing their experience and knowledge to help you identify opportunities. They can provide insights into various practice and compensation models, as well as incentive trends. Best of all, they have contacts nationwide to keep you informed of the latest developments in your prime target locations. Acing the Interview Process (Start in September). Now that you have done all of the legwork and created a game plan, it is time to start lining up interviews. This process should be started no later than September or October because of the length of time it takes to get everything on the schedule, especially with the holiday’s right around the corner. There are some key things to keep in mind before scheduling your first interview. References and Letters of Recommendation – One of the biggest mistakes new physician’s make when preparing for the interview process is to wait until the last minute to determine who is going to be a reference or provide a letter of recommendation. If you truly want quality people to provide you with documentation espousing your virtues, then it will take some time. Prepare Your Resume – As a new physician, you are still in resume territory versus putting together a Curriculum Vitae (CV) which stands for life’s work. By the time you are applying for that department head position, you will have enough life’s work to put into an extensive CV, for now, a resume will suffice in most cases. Make sure you have someone dutifully proofread your resume several times. Nothing puts your resume into the circular file faster than spelling and grammar mishaps. The Home Stretch (Start in January). As the calendar flips to 2018 and the holiday rush subsides, you should be in a position where you are fielding offers and determining what opportunities make the most sense for you. Licensing and Credentials. Once you have accepted your first job, the last thing you want to encounter is a delay in licensing and credentialing process. All too often, a physician’s start date slip due to delays in acquiring the proper licensing. Keep in mind that in some states the process can take three months or more. Ask questions to be clear on what is expected of you in this process, watch closely for the paperwork that will arrive, and adhere to deadlines. Your final year of training will fly by and end with a flurry of activity. Make sure you pace yourself so you can strategically pursue – and carefully choose – your first job as a physician. Connect with us for help as you launch your career.